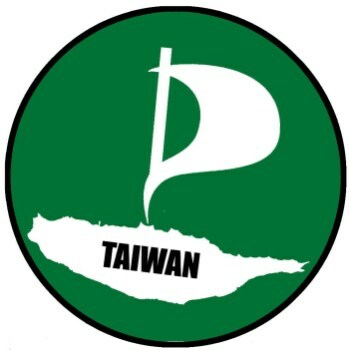 Taiwan Authorities Nix Homegrown "Pirate Party"
Authorities in Taiwan are worried that voters will think they're casting ballots for actual high-seas brigands. The rise of "Pirate Parties" on various political scenes around the world is a remarkable thing. Nothing binds them beyond a vaguely-defined common belief in the need for copyright reform, yet that's been enough to drive not just their inception and growth across countries as diverse as Canada, Argentina, Peru, Tunisia, the United States and Guatemala, but also some legitimate political success in Sweden, Germany and elsewhere. Taiwan is working on one, too, but it's faced with a bit of a problem: The country's High Administrative Court has ruled that the name "Pirate Party" could lead people to think that they're actually voting for real live high-seas swashbucklers, and that just will not do. The adventure began earlier this year when founder Tai Cheh applied to officially register the party. The Ministry of the Interior rejected the application, saying that the word "pirate" has "bad connotations," so he appealed to the Executive Yuan's Administration Appeals Commission, but was rejected again. He followed that up with a lawsuit, calling it "a matter of free speech," but now that too has been denied. Tai said that fully-functioning pirate parties currently exist in 17 countries, where they work to reform copyright and promote greater government transparency, and that his intention is to do the same for Taiwan and not to form a "criminal gang." But despite the flexible definition of "piracy" in this day and age, Taiwanese authorities seem determined to stick to the literal definition, which - unsurprisingly - is outlawed by the country's criminal code. So while "Copyright Reform for the Digital Era Party" doesn't exactly roll off the tongue, it looks like some kind of name change is going to be unavoidable.